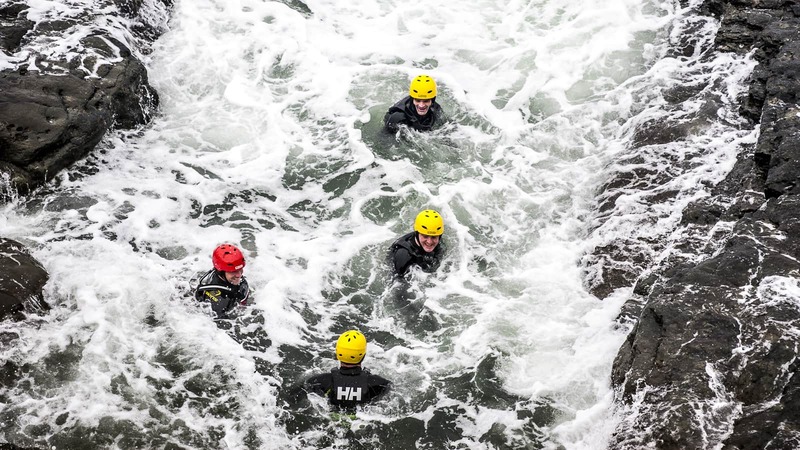 Wild Water Adventures, Tralee, Co.Kerry. 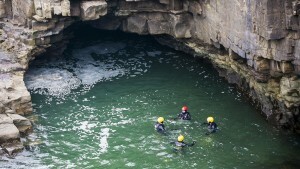 Looking for something WILD, WET and FUN to do on the Wild Atlantic Way? Try Coasteering a great, adrenaline filled adventure activity. through sea arches, into caves, rock jumping, cliff jumping........just pure, undiluted adventure!! Coasteering is a unique way to explore North Kerry’s stunning coastline. Bring out your inner child while you scramble, jump, splash. dive, swim under sea arches and cliffs and into channels and caves in nature’s own playground. If you are not smiling, laughing and cheering we are not doing our job. Learn some local history and experience some of the wildlife the West Coast of Ireland has to offer. Feel safe and confident at all times knowing you are with an experienced Coasteering Trained Leader and all guides are also qualified Beach Lifeguards. We take your fun very seriously !! Each tour is tailored to the needs and abilities of each group. To keep you warm and comfortable we provide you with a top quality winter wet suit, neoprene socks and gloves. To keep you safe and protected we provide you will a Helly Hansen Buoyancy Aid and a state of the art Water Sports Helmet.